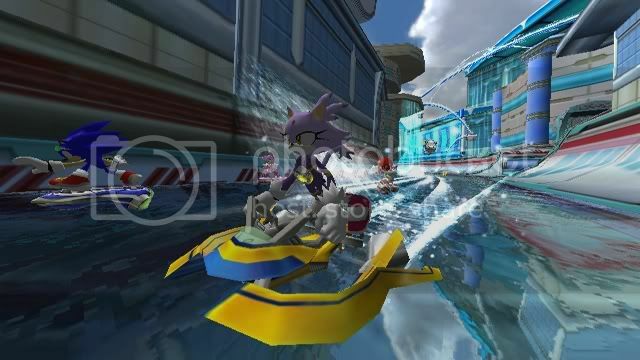 Other than the new Blaze sightings, water bike gear, flying gear and Chopper bike gear have been shown, expanding on the originals mere three type of vehicles (Board, Bike and Skate.) There’s also screens of some new courses such as the water based stage and temple like area. 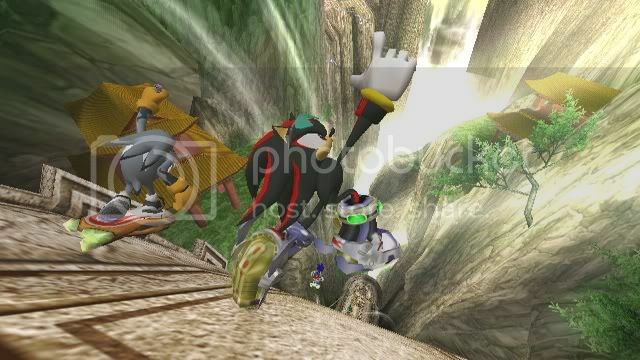 You can check out the new screenshots at SEGA’s FTP site here. Also, a huge heads up to UltimaHedgie for finding the screens and posting them on the boards. Thanks dude!